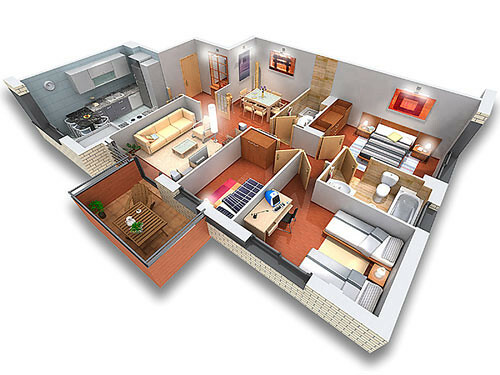 Today, 3D CAD software is perfect for planning a layout and design, and is perhaps best for those who have a tendency to pick a paint color or wallpaper, decorate their home, and then decide two weeks later that they’re unhappy with it. Here are some tips to help you get best use from 3D CAD software. This might sound like an obvious tip, but so many people use CAD software simply to get a ‘rough idea’ of what they want a room to look like, and end up underestimating their space to the extent that their ‘finished product,’ after they’ve decorated, bears little resemblance to the design. Avoid generic overviews at all costs, even if the time you think you’ll save is appealing, as it’ll only cost you more time, or money, later. Going into a DIY store, for example, and using their CAD planning software is a great thing to do, but it does mean you’re not able to visualize what you’re actually putting onto the screen. If you’re using an interior designer, then they’ll bring a laptop or iPad to your home in all likelihood and use their own favorite software to help you plan the rooms you’re looking to upgrade. If you’re planning a redesign yourself, or are planning to consult with a designer or store later, then download your own 3D CAD software; there are many examples available, and several of them are free yet still rich with features and functions. By actually standing in your kitchen or lounge area while doing it, you can start to visualize what you think will work. There’s nothing worse than planning something out in the store, and then getting home and realizing that you don’t believe it will work. Before starting your design, look through your CAD software and find some ideas, be that patterns, colors, or textiles, and go out and get some samples to have with you when you start planning your layout. You don’t need to have anything big or extensive; small cuts of wallpaper and tester paint pots will be more than enough to get started with, and give you an idea of how things will look like in the context of whatever room you’re decorating. One final tip before you jump into using 3D CAD software: ensure you put any permanent fixtures or fittings into place first. This might be a wardrobe, kitchen units, a large dresser, or another home installation. Much like the ‘exact measurements’ idea, it sounds obvious, but you’d be surprised how often people either leave these elements to the end, or even forget about it altogether. Do You Need CAD Software? If you’re in doubt, then the only way to lose it is to try 3D CAD software for yourself. Once you’ve started planning your home upgrades using software, you’ll wonder how you ever managed without it in the past, such is the power and potential it can bring to your interior designing. 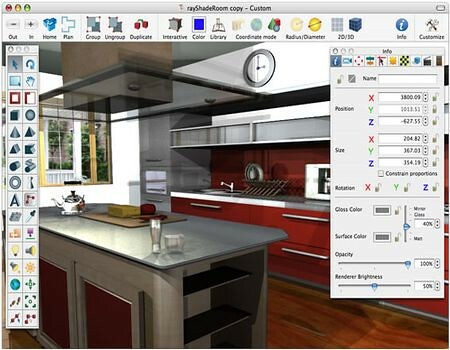 Terance is a home improvement enthusiast who uses 3D CAD planning software for everything from simple sliding wardrobe doors and bedroom furniture installations to full home refits.